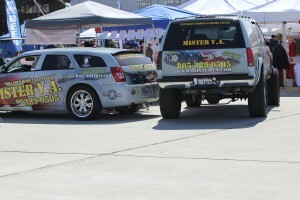 Mister VA has been helping Ventura County and Southern California Veterans and Active Service Members get into VA Home Loans and refinancing since 1978. We are the experts used by Veterans and many Real Estate Professionals. What is the current limit for a VA Home Loan? Many homes, townhomes, PUDs and condos in Ventura County now qualify for this type of Zero Down Loan. VA or CalVet home loans can be difficult to understand. If you have questions about pre-qualifying for a VA or Cal-Vet Loan, refinancing a VA or Cal-Vet Loan, or any other question about the VA loan benefits you have earned, call us, your VA CalVet Loan Specialist. Most veterans and military personnel are eligible for VA home loans. We help you get through this often difficult process more easily and with less stress. We’ve been helping people like you for over 35 years and have the know-how that you need to make it happen. Veterans have many questions and concerns when it comes to being approved for a VA or CalVet Home Loan. We have the Answers. I am Dave Tapie, a Veteran myself. I have been helping Veterans and active service members get approved for home loans since 1978. Many real estate professionals come to me for my advice. We are your walking, talking encyclopedia for VA and CalVet Home loans. While many mortgage brokers can get you pre-qualified, we are your best shot to get approved.